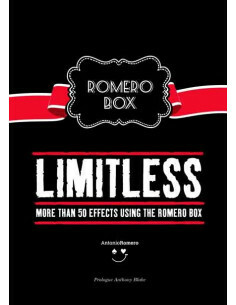 If you like VISUAL and HIGH IMPACT MAGIC don´t miss the change to get a FREE copy of this ebook. More than 100 pages where you will learn the secrets to easil perform unbelievable effects. PROFESSIONAL MAGIC DESIGNED BY A PROFESSIONAL MAGICIAN. 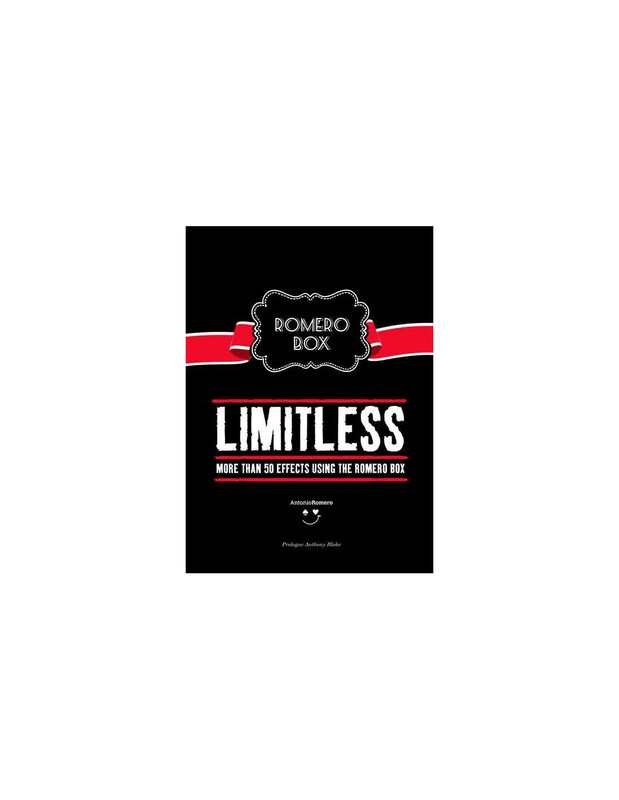 Imagine the infinite possibilities of a change box inside a card case! - DIRECT, VISUAL EFFECTS SUCH AS TORN AND RESTORED CARD, STAPLED CARDS, ETC. -TRANSPOSITIONS, PRODUCTIONS AND VANISHES OF CARDS AND COINS. On this book, you will find a great variety of effects and multiple utilities that will allow you to solve many situations you find while performing, in a simple and direct way. 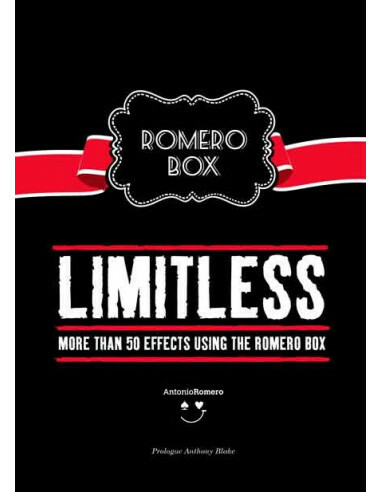 LIMITLESS, more than 50 effect using the Romero BOX shows you how to use an effective, well designed tool that opens a new window, full of opportunities and new effects, to your working repertoire. You’ll be surprised at the impact those new routines will have in your audience. Add this product to your basket now, and you will be able to enjoy this ebook completely free of charge. 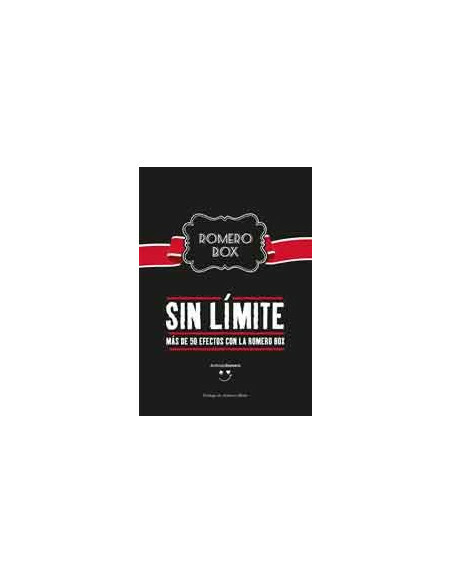 After completing the purchase at a 0€ cost, you will be able to download the book in pdf format and also receive an email with a download link.